Wat Thewarat Kunchorn Worawihan also known as Wat Deveraj is a beautifully preserved, architecturally stunning temple located on the banks of the Chao Phraya River in the Dusit district of Bangkok. It has been registered as a national monument since 1949. It’s an ancient temple which pre-dates the start of the Rattanakosin Kingdom with the temple being rebuilt during the reign of King Rama I and named Wat Samor Kraeng. 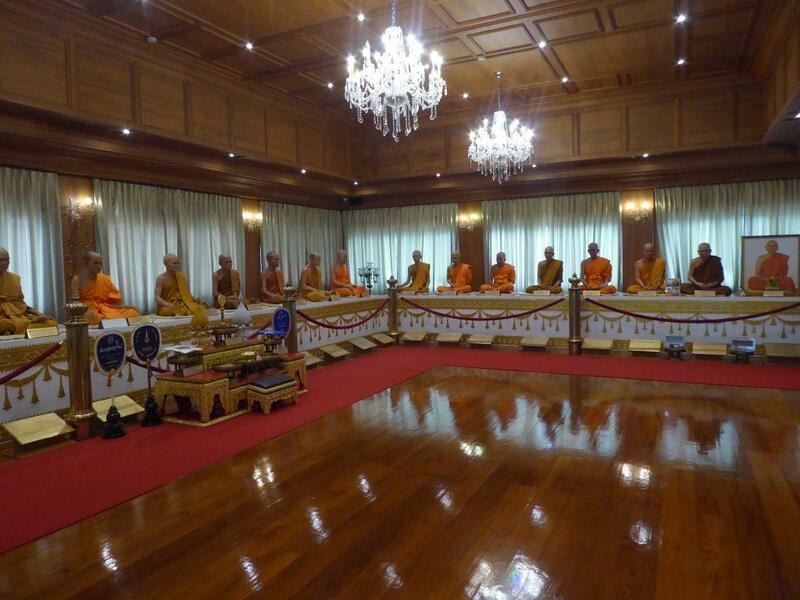 More restorations followed, finally being completed by Prince Phitakdeves Kunchorn, a son of King Rama II. 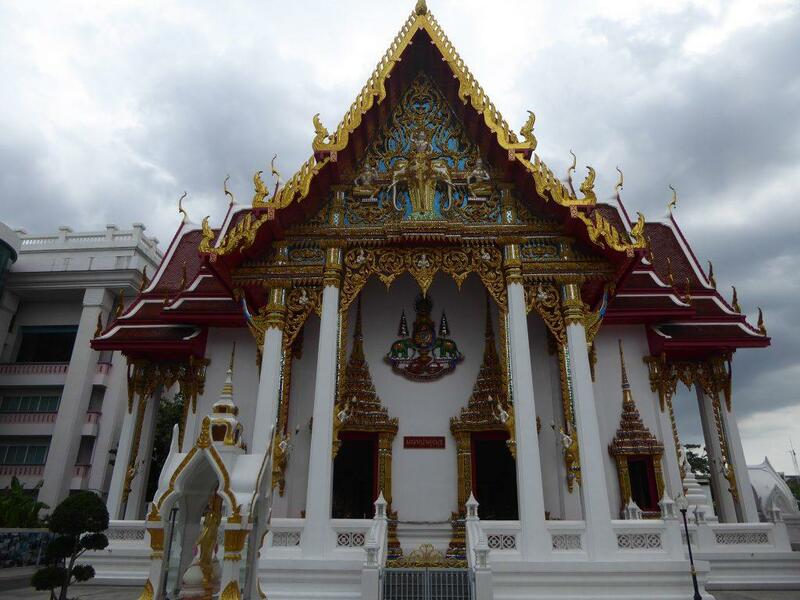 This included a rebuilding of the ordination hall in a similar architectural style to that of Wat Phra Kaew. 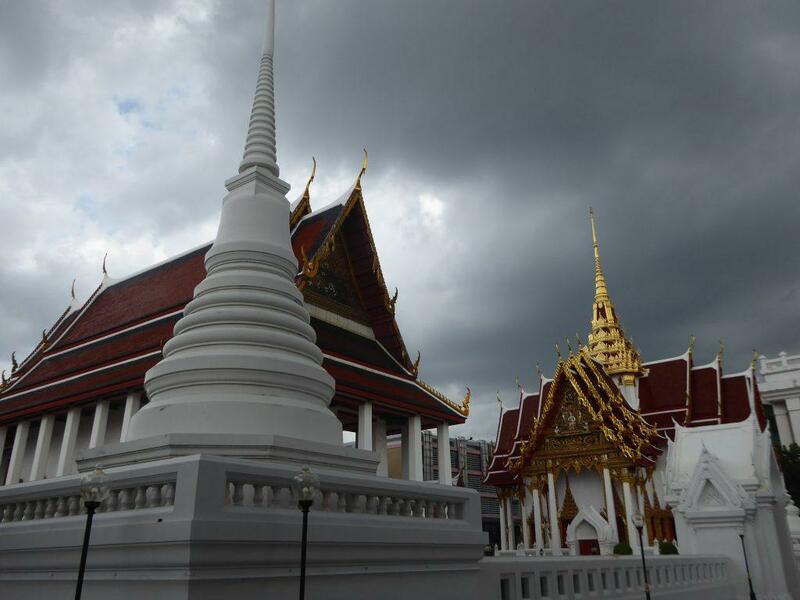 During the reign of King Rama IV, the temple was designated as a third-class royal temple and given its present name in honor of Prince Kunchorn, the temple restorer. 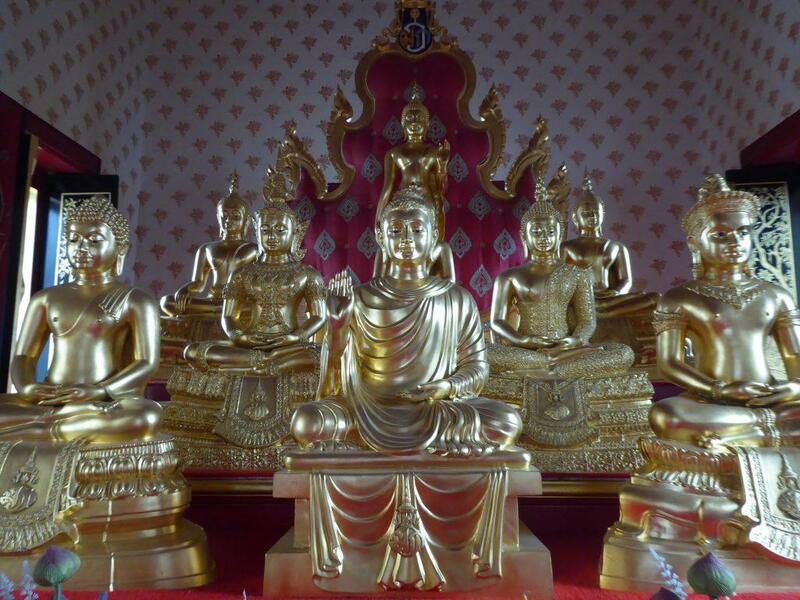 The temple has several interesting buildings containing Buddha images. 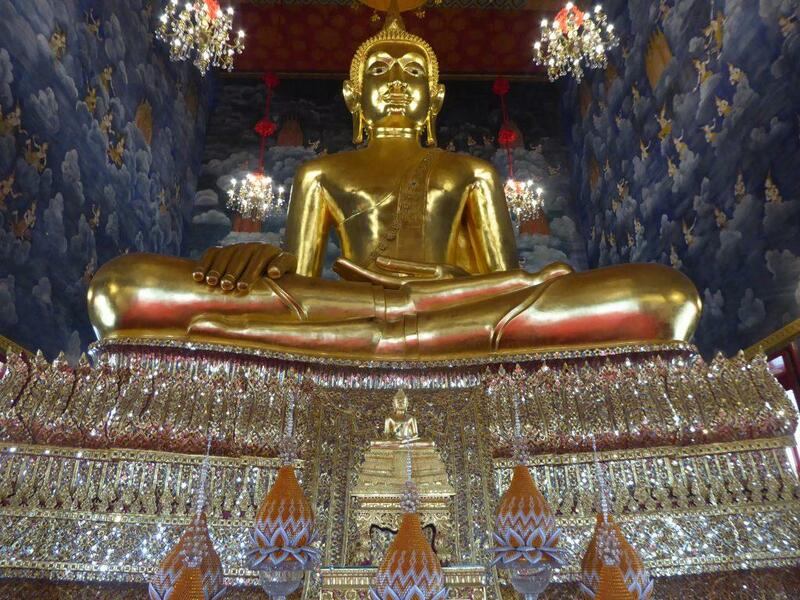 The ordination hall houses the principal Buddha image, a Thavaravadee period image named Phra Buddha Thewaratpatimakorn, an eleven-foot high metal image covered in lacquer and gilded with gold. 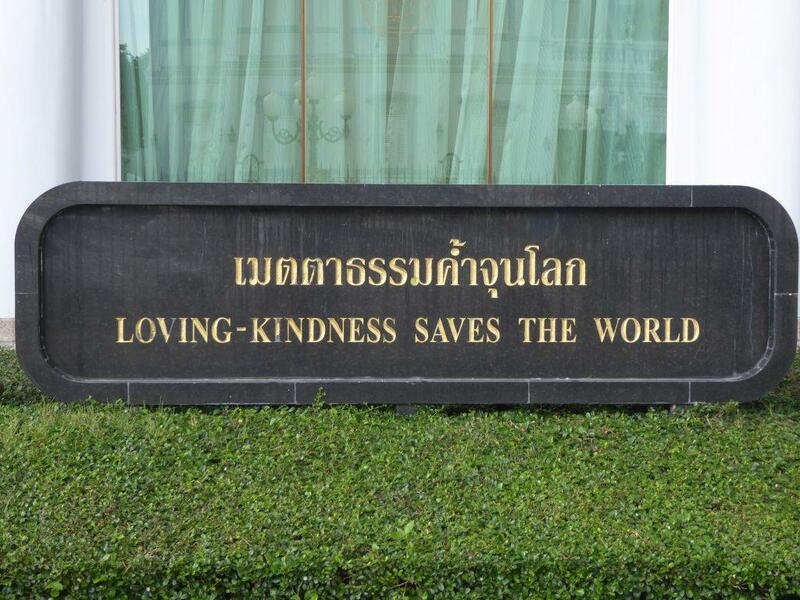 The images name was bestowed by King Rama IX on February 15th, 2003. The image is in the posture of subduing Mara. 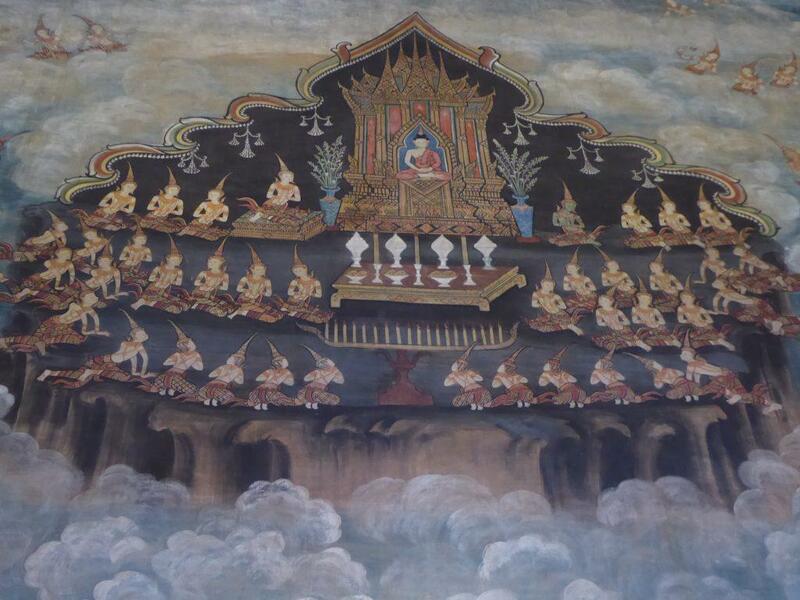 The walls are decorated with beautiful murals depicting the deities of Tavatimsa heaven gathering to pay respect to Lord Buddha on his visit to preach to his mother, murals between each window portray Buddhist monks meditating about the impurity of the body while those on the front wall present episodes from the Sama Jataka. The beautifully decorated mondop has four gable ends topped with a golden steeple. The interior contains a collection of Buddha images including Luang Pho Dam, an Ayutthaya period image in the posture of subduing Mara. 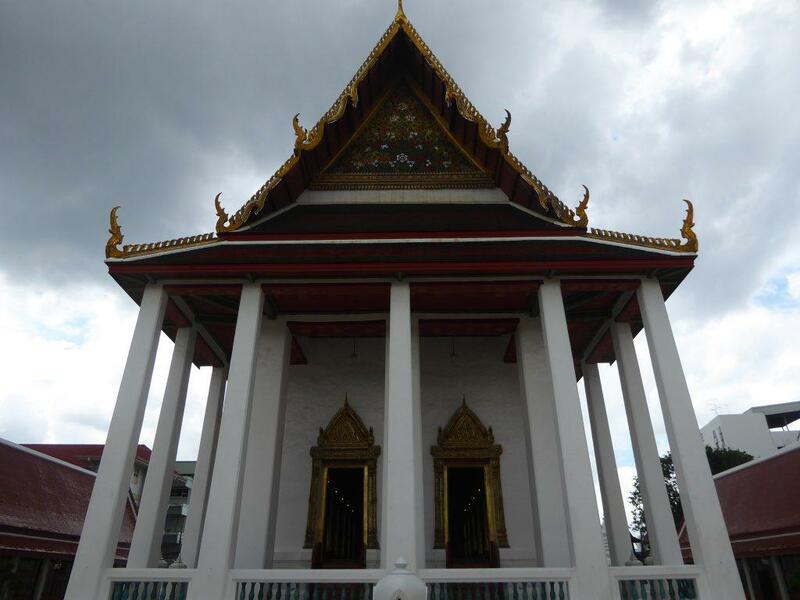 The Vihara contains eight Buddha images, the Suchada Pavilion contains a reclining Buddha image and the Paolina Pavilion contains a single Buddha image. 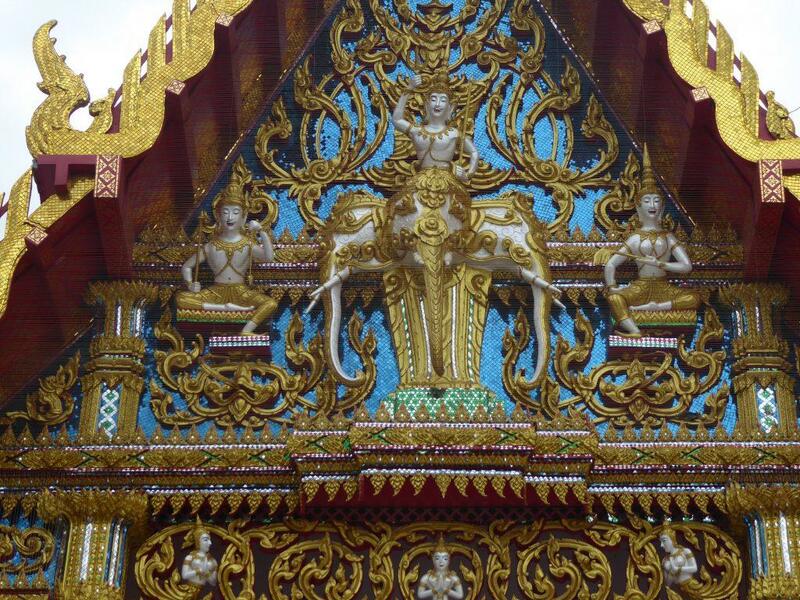 The Chaloem Phra Kiat Mor Wor Kor building contains a single Buddha image flanked by four Yaksha guardians. 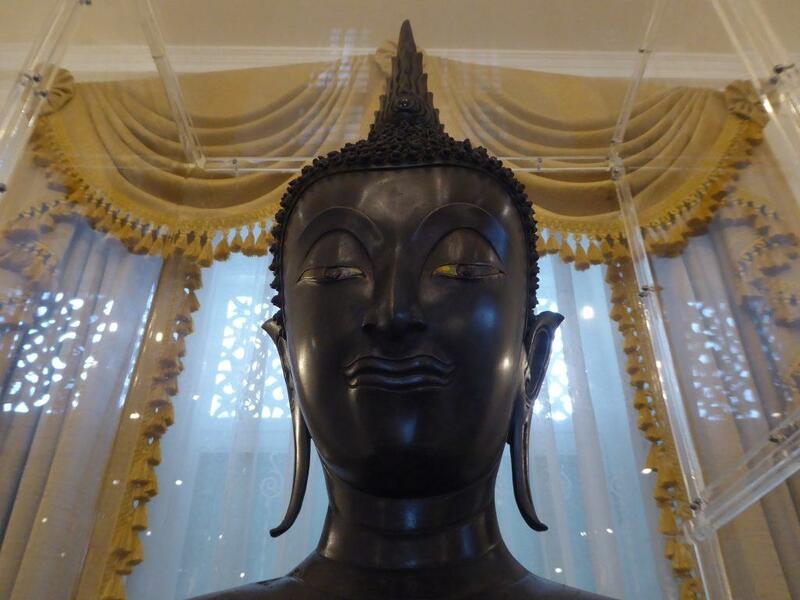 In an adjoining room is a single black Buddha image. 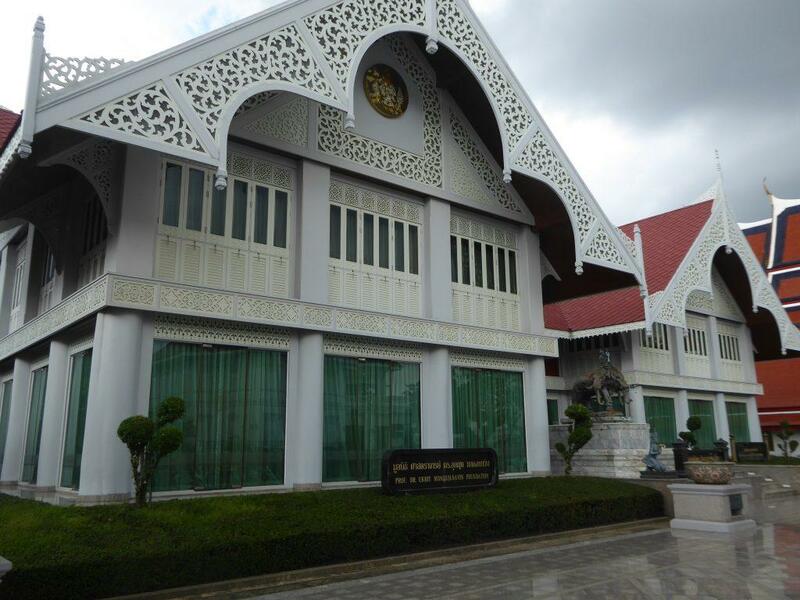 Also, in the compound is the Golden Teak Museum housed in an antique 2-story teakwood house called Ban Kaew. 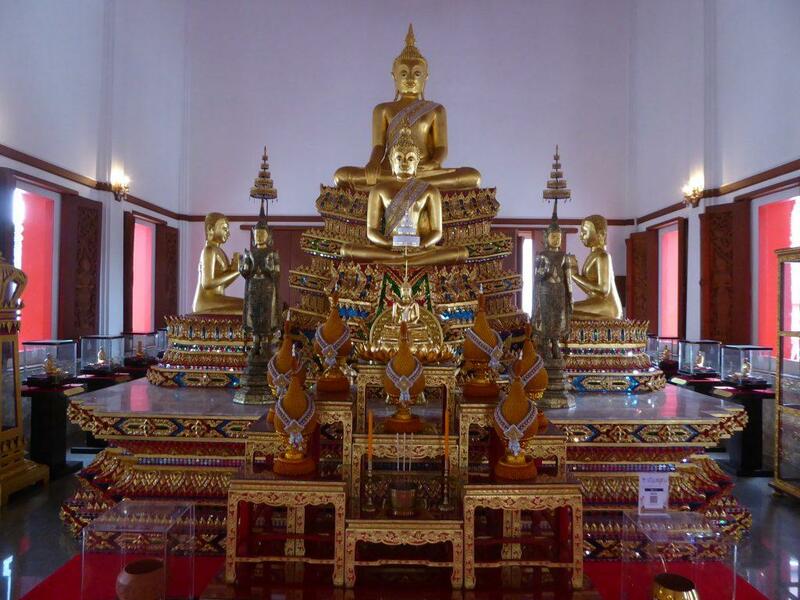 It was shipped from Phrae province in Northern Thailand, reassembled in the temple grounds and renovated to become a museum. The house includes 59 large teak pillars with the largest pillar estimated to be almost 500 years old. 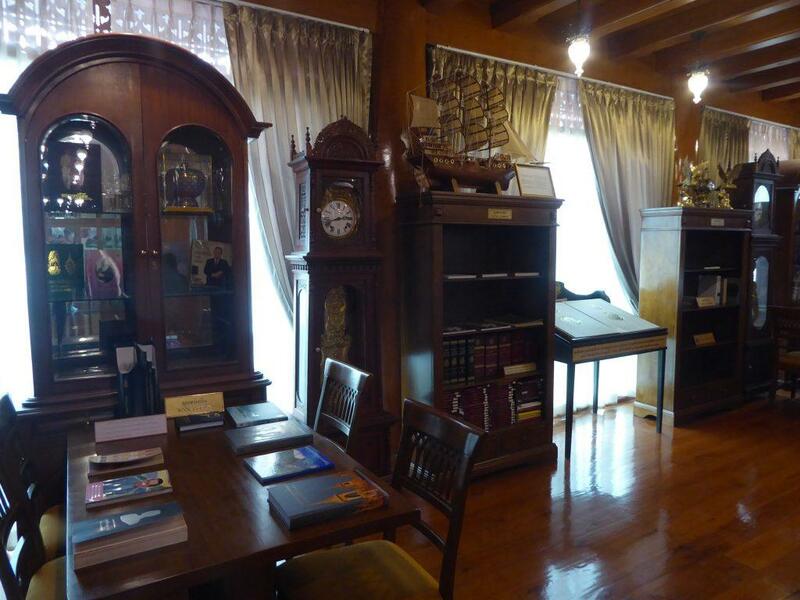 The museum’s purpose is to preserve gold teak wood and act as a Buddhist Knowledge Center. 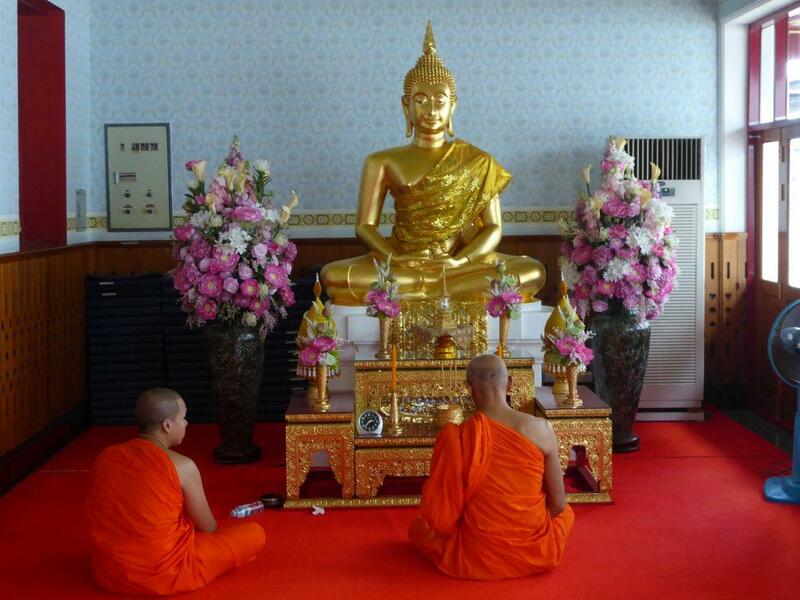 The ground-floor displays the history of the temple, the museum building and the history of Buddhism in Thailand. 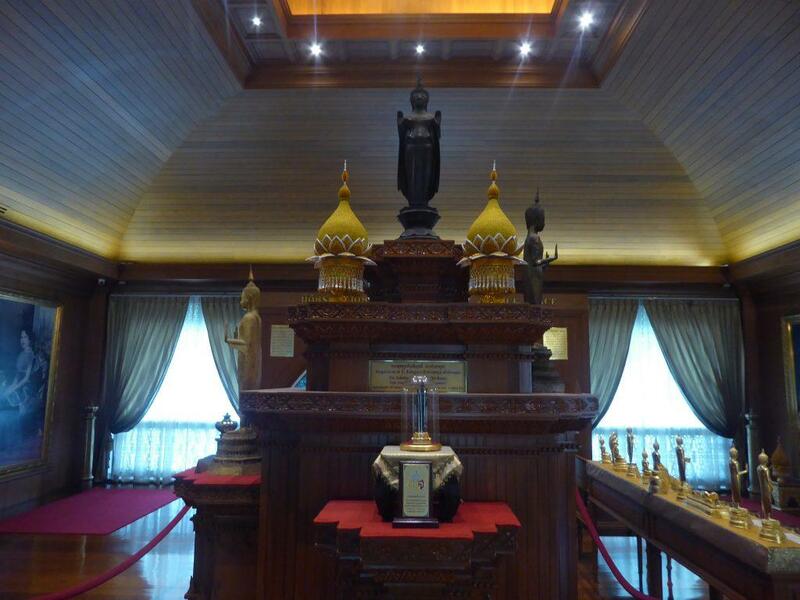 The first floor features a collection of 18 life-size replicas of all the supreme patriarchs of the Rattanakosin Kingdom. There are also figures of other revered monks. 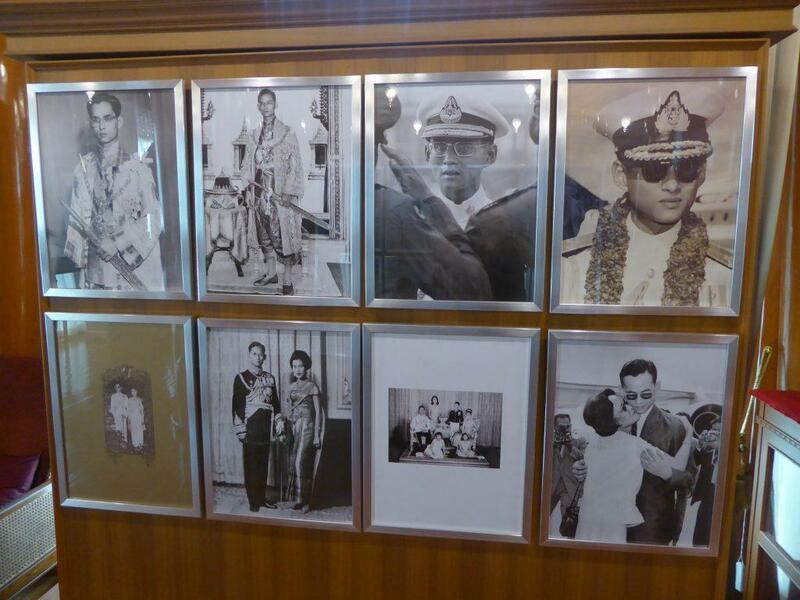 Also displayed are also items of antique furniture, a display of photos of the late King Bhumibol Adulyadej. 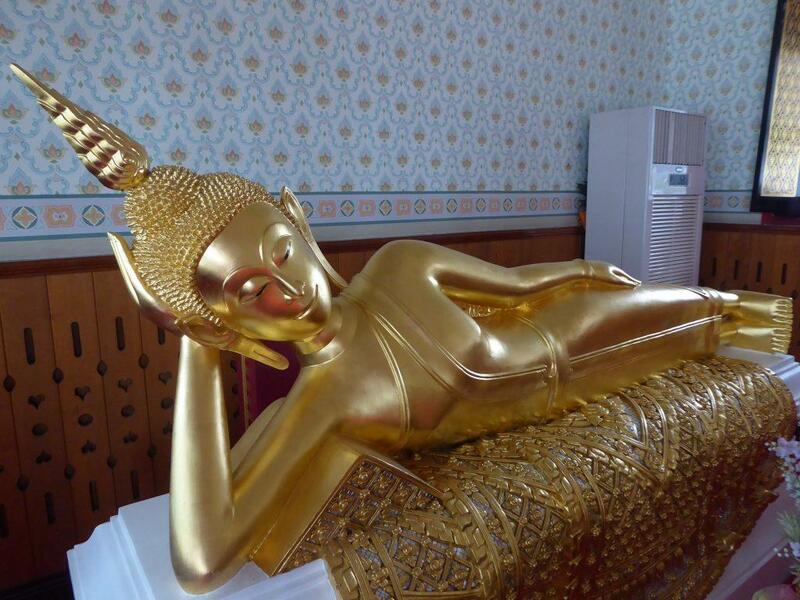 Other objects include an ancient Ayutthaya period standing Buddha image in the posture of stopping seawater. 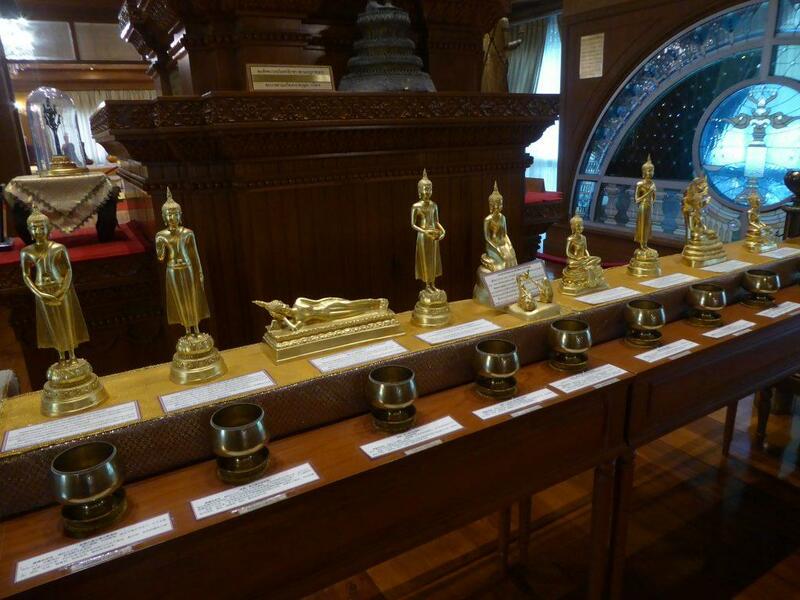 There is also a collection of small Buddha images, relics of the Lord Buddha and a beautiful stained glass window. 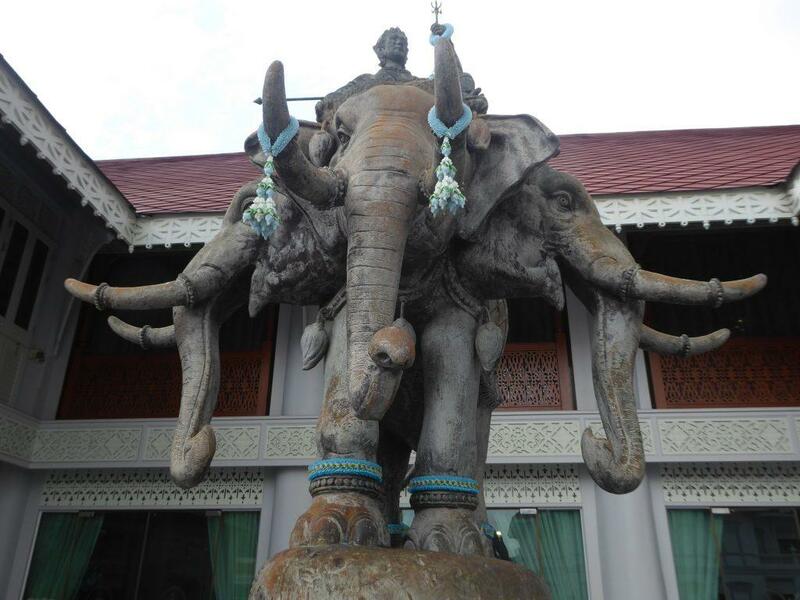 In front of the museum is a statue of Indra riding a three-headed elephant. The temple holds a yearly ceremony on June 5-6th known as Krop Sian where there are offerings of to monks, traditional performances and prayer sessions. There is a nice coffee shop in the compound with indoor and outdoor seating. You can also feed the fish at the temples river pier. A good riverside Thai restaurant, ‘Steve Cuisine’ is a short walk from the temple as is Thewet Pier. Location: 90 Si Ayutthaya Road, Dusit, Bangkok. Chao Phraya Express Boat to Thewet Pier. Walk up Krung Kasem Road, take the first bridge on the left over the canal and walk through the market to Si Ayutthaya 21 alley. The temple is on your right. Bus: Numbers 3, 9, 30, 32, 49, 65. Get off at Thewet Market and turn left into Si Ayutthaya Road. From Khao San take bus 9, 30, 32, or 65 from the bus stop opposite Samsen Soi 2.